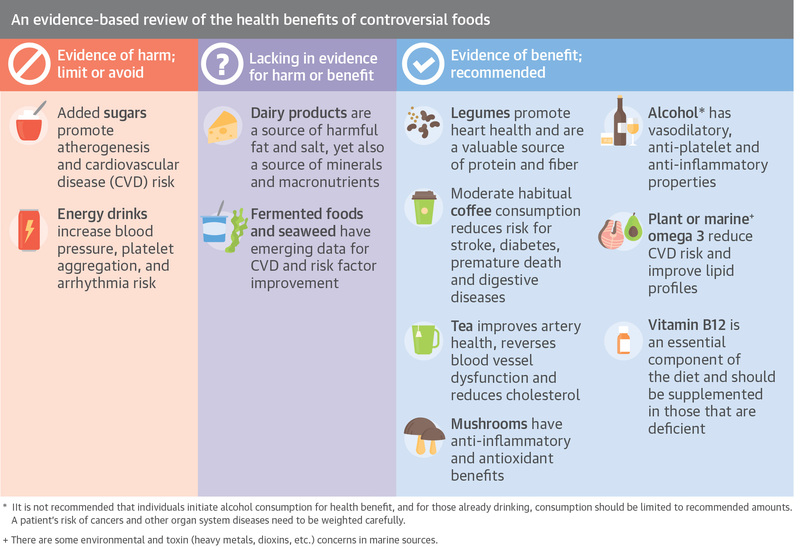 WASHINGTON (July 23, 2018) — What’s the bottom line on the potential heart health benefits of popular health foods? In their second paper on controversial nutrition trends, researchers from the American College of Cardiology Nutrition & Lifestyle Workgroup of the Prevention of Cardiovascular Disease Council discuss nutritional “hypes” and controversies around dairy products, added sugar, legumes, coffee and tea, alcohol, energy drinks, mushrooms, fermented foods, Omega-3s and vitamin B12. The review article publishes today in the Journal of the American College of Cardiology.